Upgrade using the very latest version Of Drupal (8) as the base. 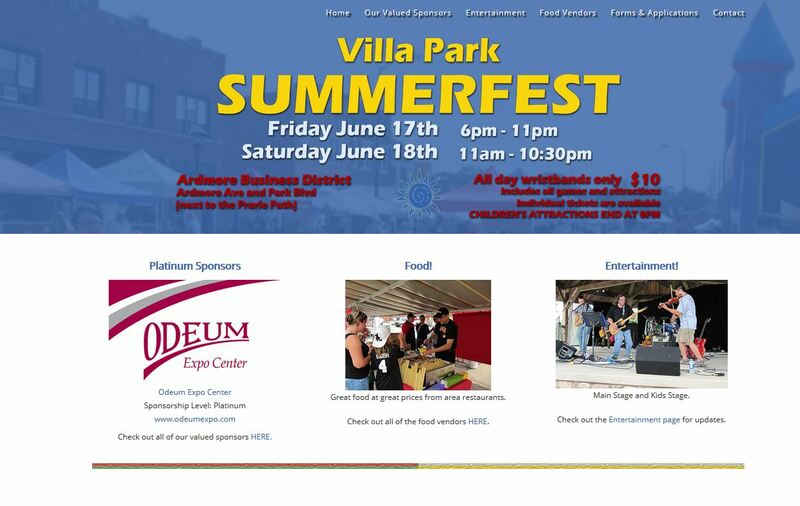 The original Villa Park Summerfest site was built by us using Drupal 6 many years ago. This design gives the Commission that runs the event an easy way to update Sponsors and Food Vendors as they come on board, keeping those pages up to the minute. This is a great event by the way. You should make time to go. And The Bit Wrangler is a sponsor of this event.